Fionnuala Britton finished a battling third in Sunday's Lotto Cross Cup cross country meeting in Brussels. Britton led for much of the 6K race but was passed by Ethiopian-born Dutch runner Sifan Hassan and Ethiopia's Zewdnesh Ayele in the closing stages. 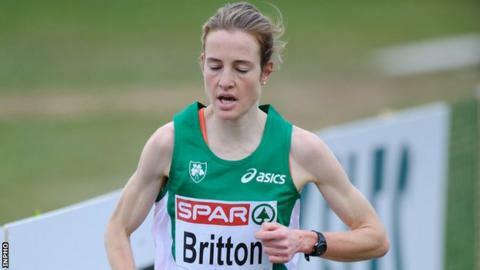 Wicklow woman Britton was 32 seconds ahead of another Ethiopian-born runner, Belgium's Almensh Belete. Sunday's race was Britton's first outing since finishing fourth at the European Championships two weeks ago. The race in Belgium was part of the IAAF permit series taking place over the cross country season. Race winner Hassan took gold in the Under-23 race at the European Championships in Belgrade and the 20-year-old is emerging as a genuine force in the sport. The Irish woman's next race will be the Greenmount International event in county Antrim on 4 January.